A Bedazzled [kind of] Life: 42a. Upcoming Contests! So you're engaged...and things are costing a million dollars!! Here are a few contests to check out to ease the cost and perhaps score you some goodies. 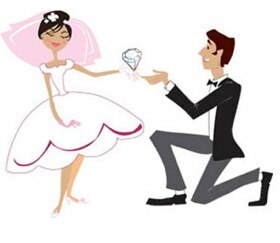 Tell Brides.com why YOU (the groom) will be the best husband. The Top 16 men will face off in Matrimony Madness (sound familiar?) and America will determine the winner! Contest ends 2/25 -- act fast! One grand prize will be awarded. The winner will receive $25,000 for their wedding and up to 25 hours of consultation with Michelle Rago and staff via phone, video chat or in-person. Michelle Rago and team will provide advice and direction for the winner and guest (e.g. design aesthetic, thematic decisions, color palates, event location, music direction, florals, food, beverage and cake design, honeymoon location, etc.) and deliver an overall written and visual plan. 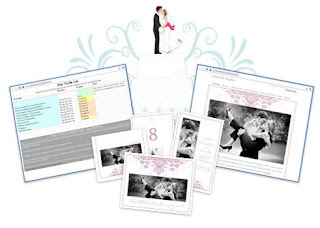 ps - more on the amazing new developments with Google Weddings coming soon! One Grand Prize will be awarded to the Finalist selected as the Grand Prize Winner (the "Grand Prize Winner"). 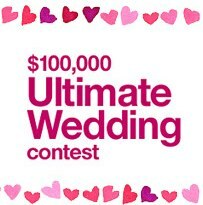 The Grand Prize will consist of an Ultimate Wedding planned/designed by the Wedding Planner, valued at approximately One Hundred Twenty Thousand Dollars ($120,000) (the "Wedding Budget"). The Wedding Budget includes the Wedding Planner's fee ($20,000) and a $10,000 Crate and Barrel Shop Card, leaving a balance of $90,000 ("Wedding Budget Balance") to cover items outlined below.